Hi, apparently pigs aren’t the only animals that fly – pandas do too! 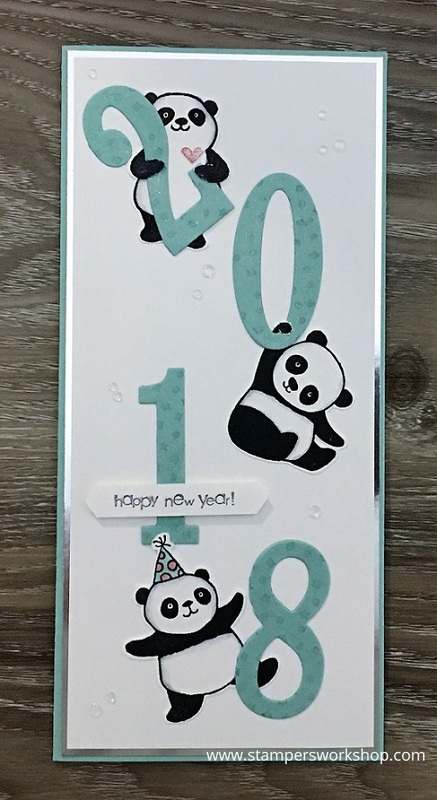 Ever since I made the 2018 card to welcome in the new year, I’ve been thinking about using the pandas from the Party Pandas stamp set in different ways. The idea which kept popping up was to make the little panda fly through the sky holding onto his balloon. At first, I was going to make a slider card but then I struck upon the idea I am sharing today. I’m actually sharing three variations of the same card! There were nearly four variations but you can thank me for stopping after three! haha I stepped up the card design each time. 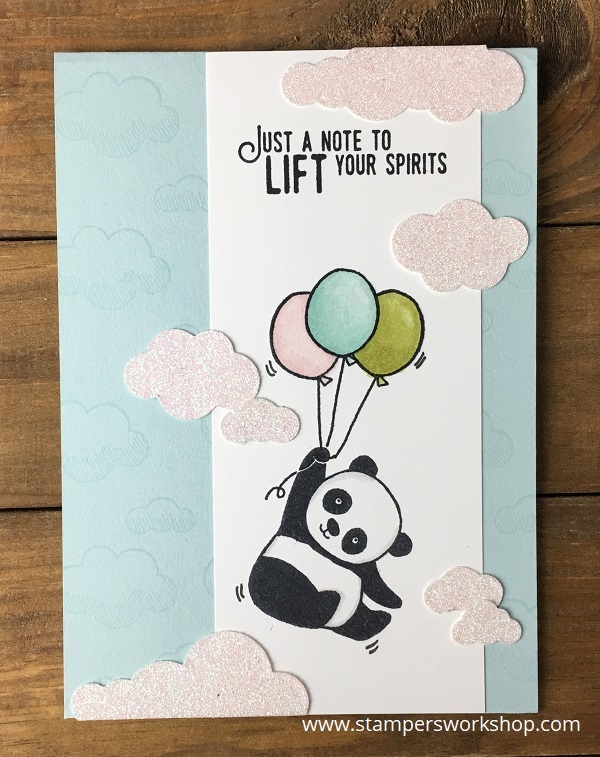 For the first card, I stamped the base card with clouds from the Lift Me Up stamp set. I used Versamark ink as I wanted a nice subtle background but you could also use the coordinating Soft Sky ink if you wanted it to be a fraction darker. 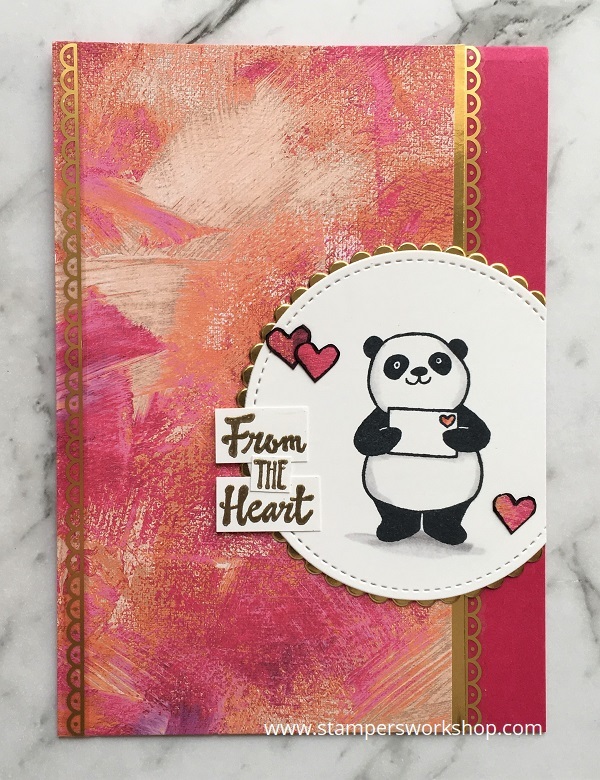 I then stamped the sentiment and the panda on a white strip of cardstock. To add the extra balloons, I needed to do some masking. All I did was stamp the panda on a post-it note. I then cut out the balloon and covered the balloon on my panel. I also cut out the hand and head of the panda just in case! When I inked up the stamp I used another post-it note to cover the parts I didn’t want to have inked. Then I stamped the extra balloon. I repeated this process so I would end up with three balloons. I coloured the image with Stampin’ Blends and finished it off with Wink of Stella. To indicate movement, I just added some dash lines around the balloons and the panda. Voila! The card was finished. 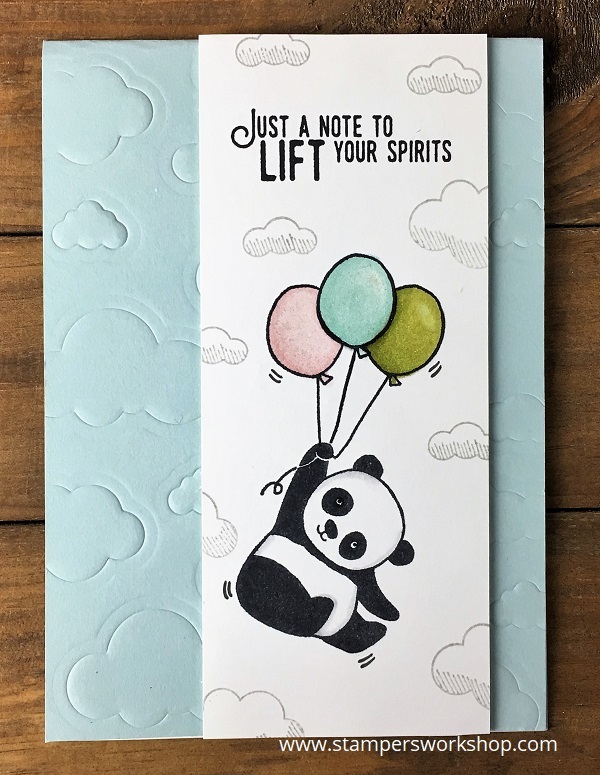 Although I really loved the first card, I did wonder how it might look with some clouds around the panda to really show that he (or she) is flying through the sky. The new glimmer paper makes for gorgeous sparkly clouds! For my last card, I thought it might be fun to do something a little different. This time I stamped clouds on the panel with the panda. I stamped in Smoky Slate ink but I stamped off first as I wanted a soft shade. For the card base, I used the same dies from the Up & Away Thinlits set but this time I didn’t want to cut out the shapes, I wanted to dry emboss with them. I LOVE this technique! You will need a silicone rubber mat (and I’ve linked to three sources below but they are located in the USA). Simply remove the thin die adaptor from the Big Shot sandwich. Add the clear plate, then the mat, your cardstock and then the dies (facing down in the position you want them to emboss). Finally, add the top clear plate and run it through the Big Shot. I had to repeat this a number of times until the entire card base was covered but it doesn’t take very long. I added the white panel to the card base using Stampin’ Dimensionals and my card was complete. Oh I love the texture of the third card! So lovely. I didn’t mind that you could see the outline of the die in the cardstock. I thought it added to the texture of the card. Do you have a favourite of the three? I can’t decide! 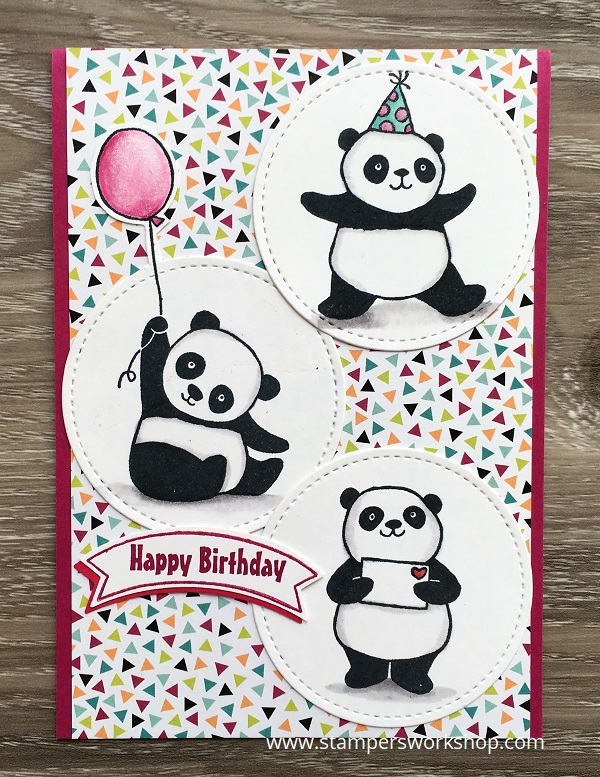 Don’t forget Sale-A-Bration is still happening so you could earn the Party Pandas set for free with a qualifying order. 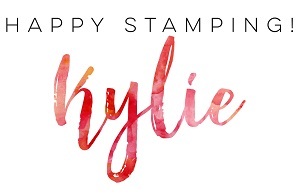 I think you can see this stamp set is a must-have! So fun to create with! 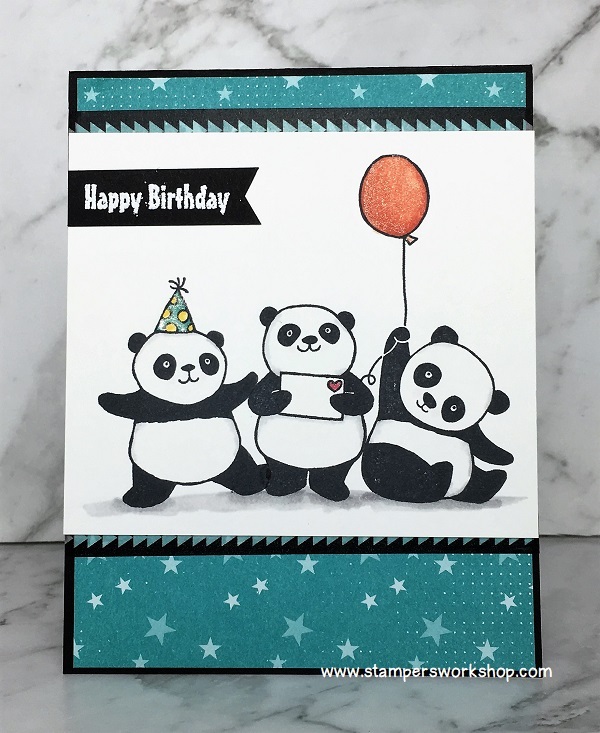 Hi, when you see the new Sale-A-Bration catalogue you might be like me and take one look at the new Party Pandas stamp set and put it straight on your “must have” list. 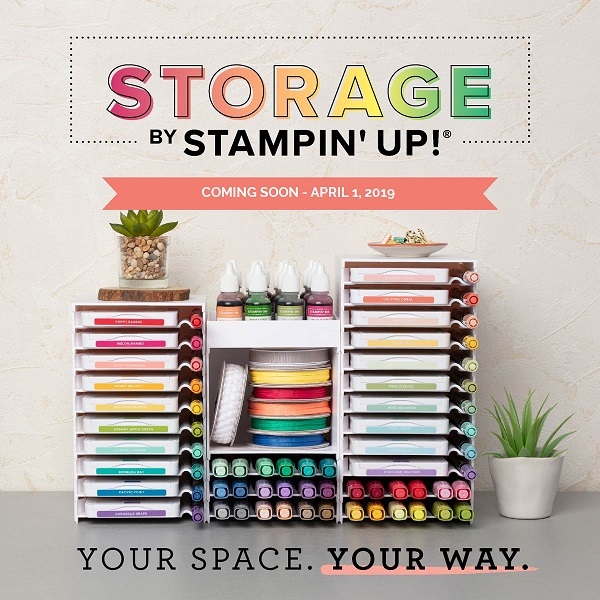 The great thing is that you can actually earn this stamp set for free when you place a qualifying order during January to March 2018. How fantastic is that! (Don’t worry, I’ll give you more information closer to the time). Now, back to the pandas…the little pandas are all separate stamps but when I was playing with them I thought how cute they would be together at a panda party. They all fit together perfectly! All it took was a little masking. I think this stamp set is going to be a favourite of mine. 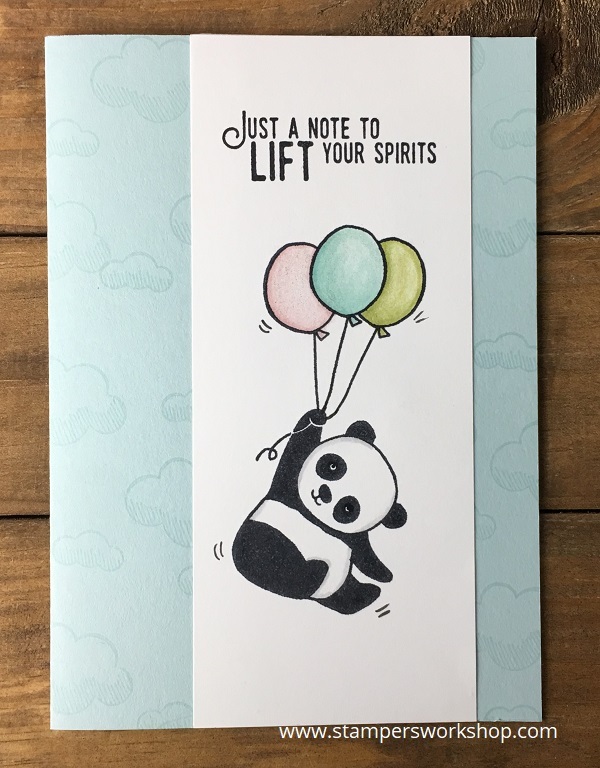 I love those little pandas! (Oh, and that lovely Designer Series Paper is another freebie you could earn during Sale-A-Bration next year).